It’s true that to write a great story, you need closeness to your material. Don’t take novel writing tips like this completely literally, though. Contemporary British historical fiction author Philippa Gregory couldn’t personally know the 16th-Century aristocrat Mary Boleyn. That didn’t stop her historical novel The Other Boleyn Girl (2001) from getting critical acclaim and a film adaptation. Take ‘write what you know’ figuratively: Write about experiences and events you know in the sense that you can relate to them. If you can relate to your material, this emotional and/or intellectual closeness will filter into your work and affect readers. Be daring, also – becoming a skilled writer means honing your ability to write convincingly about what you don’t know; the things you can’t personally empathise with but can at least imagine. 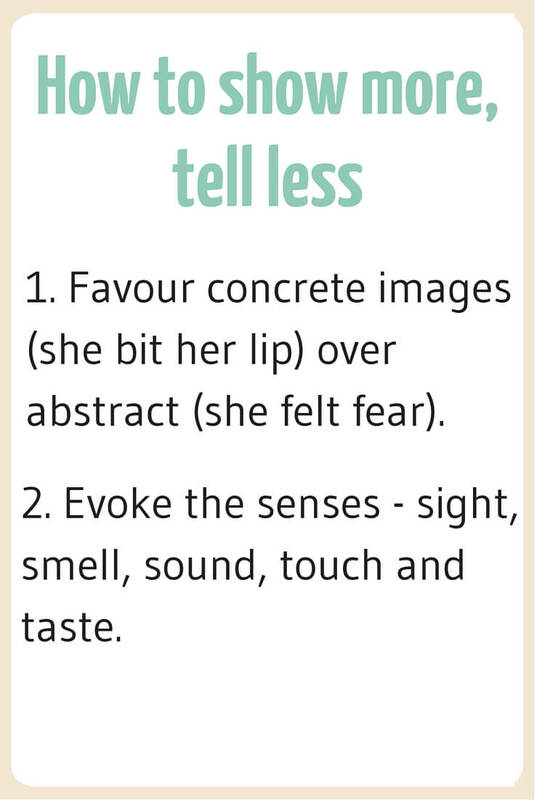 ‘Show, don’t tell’ is good advice in some respects. What befalls your characters might be moving or shocking, but the reader soon forgets if it’s hard to picture and feel these events. Emotional connection lingers. In the second example, fear is distilled in a concrete image and by evoking the sense of sound. The character’s movement and the description of the mother combine to make the reader see and hear what the character sees, as fear gives way to relief. Showing makes the scene more vivid. Balancing showing and telling requires understanding the pecking order of plot events. Show what’s important, and condense and tell what is merely necessary for getting to the next important plot point. Even when you tell, remember to apply the same principles of story and good style you would in a more descriptive passage of writing. Novel writing tips such as Vonnegut’s favour bold, stark drama. 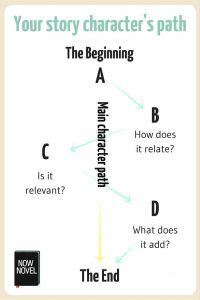 Yet subtlety and minor rises and falls in character arcs help to create believable stories. George R R Martin is one writer whose work fits Vonnegut’s maxim. He kills readers’ darlings at every turn in his fantasy novels. It’s true that treating characters badly like this creates an element of unpredictability and excitement. But your story will be more balanced if you are able to reveal your characters through adversity as well as less conflict-driven story segments. Of all the common novel writing tips, ‘don’t use passive voice’ is one of the most abused. It’s true that active sentences are strong sentences. ‘He stashed away the firearm’ is character-focused and action-focused, whereas ‘The firearm was stashed away by the man’ is bad for multiple reasons. Firstly, the word ‘by’ is clunky and creates bad/awkward style. The word ‘by’ can be helpful when it specifies who performed an action (e.g. ‘by the man [not by the woman]’), yet there is no second character involved in this example. Secondly, the emphasis on the object in the passive voice example gives it the most significance, rather than the more interesting action. In this case, passive voice is indeed bad. Yet there are many instances where passive voice is completely acceptable. In ‘I was shoved out of the way by the man,’ the wording of the phrase contributes to the action’s passivity. The sentence, like the man’s action, is focused on his (and not the narrator’s) immediate needs. One way you can use passive voice is thus to reinforce the sense of a character’s passivity in a scene. But do this subtly. As a rule of thumb, choose the sentence structure that is clearest and most concise. Do you reach for an adverb whenever you need to describe an action? Famous authors such as Stephen King have trash-talked adverbs for good reason. Often, writers use adverbs to add specificity to bland, nondescript verbs (e.g. ‘She ran hurriedly’). Instead of using an adverb to show the way a character runs, use a strong, descriptive verb, e.g. ‘She tore’. Again, however, novel writing tips forbidding adverbs ignore that they enrich description if used creatively, rather than lazily. For example, in ‘she stumbled, lightly laughing and glancing over her shoulder as she neared the dune’s summit’, the word ‘lightly’ is effective because it also conveys mood and tone. The word ‘lightly’ also echoes the connotation of lightness of touch in the word ‘glancing’. The reason the example sentence works is because it mixes active verbs with adverb use, keeping the natural flow of the phrase. You could argue that the word ‘giggling’ could be substituted for ‘lightly laughing’. Yet there is a schoolgirlish connotation to this active verb that you might not want in this particular scenario. In short, use fewer adverbs because there are often stronger verbs available. Don’t be inflexible, though, because sometimes adverbs add to the mood, tone or rhythmic flow of a sentence. 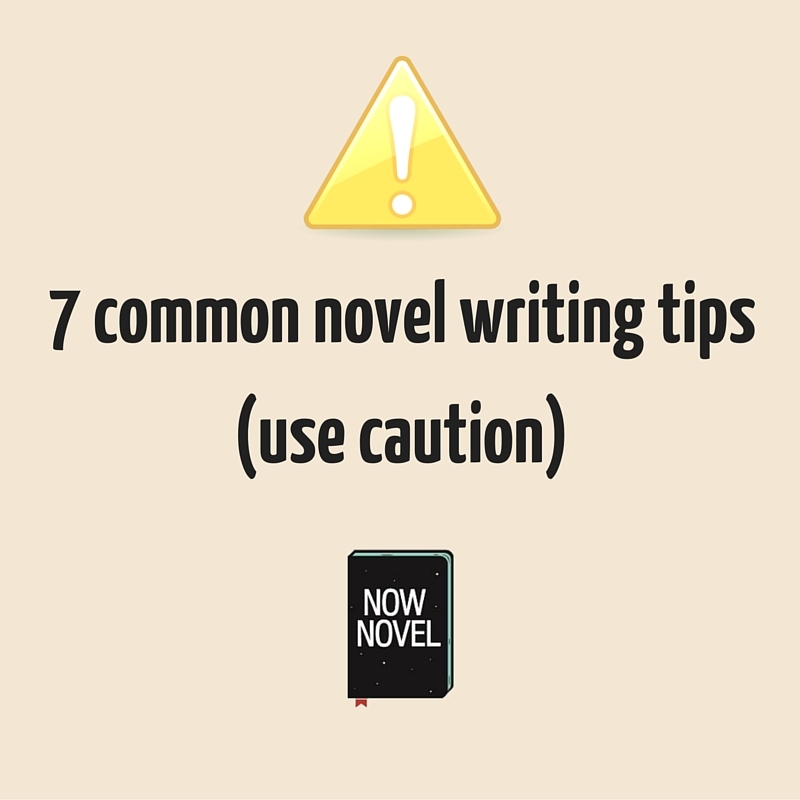 Don’t merely create new complications mid-way through your novel for their own sake. Do so if they will build story possibilities and add new layers of drama. Your writing group might tell you your story needs more action. Beware of the breathless, ‘one-thing-after-another’ effect, though. This is particularly true if you want readers to form emotional connections to your characters. Even bestselling thrillers such as Gone Girl show character development and take the time to describe settings and characters’ inner lives fully. 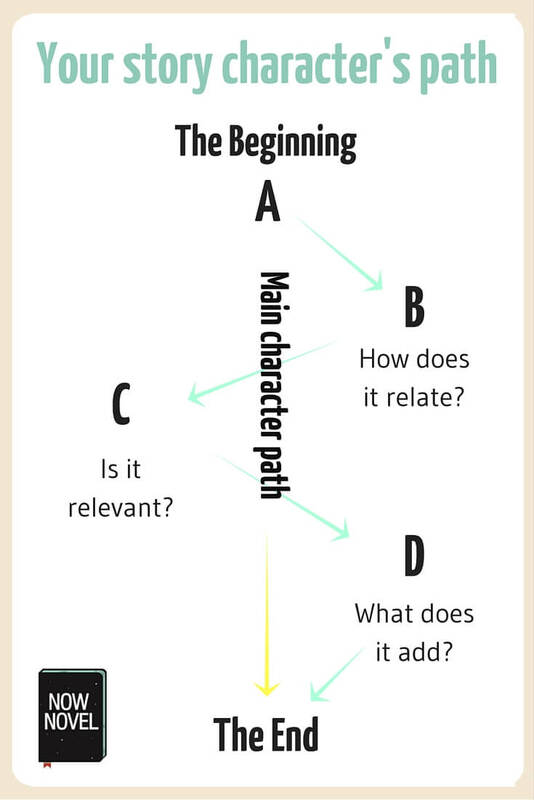 Instead of focusing on action exclusively, make each part of your novel active. Even if you’re describing a static scene (e.g. the creepy house on the outskirts of town and how it looks from the bottom of the hill), imbue your descriptions with active words. Create contrasts and think about anomalies. Ask ‘what does this scene have that stands out and makes it worth translating into words for someone else to see?’ Keep this in mind so you write great pages even when nothing highly significant is happening. Read enough? Start writing a book, get helpful feedback from other writers and hone your story idea now on Now Novel. What are the novel writing tips you disagree with most? Do they include any of the above?